Was the Viewmaster a precursor to the VCR? – Trees & Flowers & Birds! Was the Viewmaster a precursor to the VCR? What do you think? Who is old enough to remember these? I had a red one (or maybe it was orange?) Now, I know they still make these, but you have to think back to the pre-VCR days when this was really all we had to re-live our favorite movies. It was this, or a book to see views of the Grand Canyon, or even Disneyland. And the images were in 3D which seemed to bring them to life in a way a book just could not. 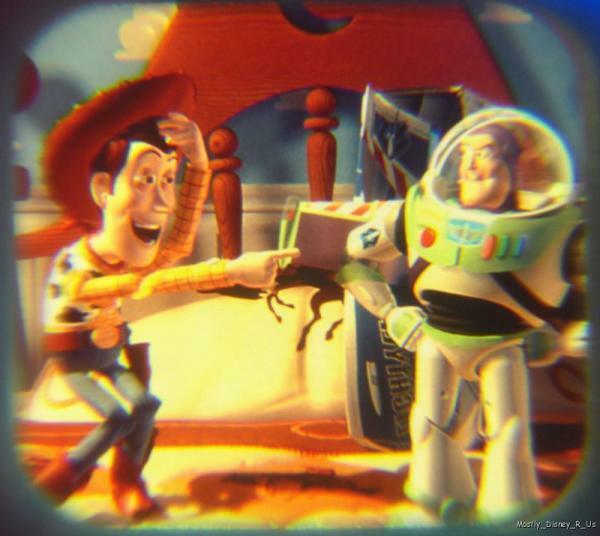 Of course, it’s pretty hard to get pictures of a viewmaster image, but I did some searching and found a few good ones online – sadly though not the main one that sticks in MY memory banks. Since my favorite Disney movie was Jungle Book, then naturally the reel for that movie was my favorite. And there was one image just after the fight with Sher-Khan of Baloo laying in a beam of sunlight, looking as if he was dead. It was just the saddest sight and on the viewmaster for some reason it felt like you could reach in and touch his fur and you just wanted to stroke his nose and thank him for being a very brave bear. I totally remember that flying pooh bear reel! 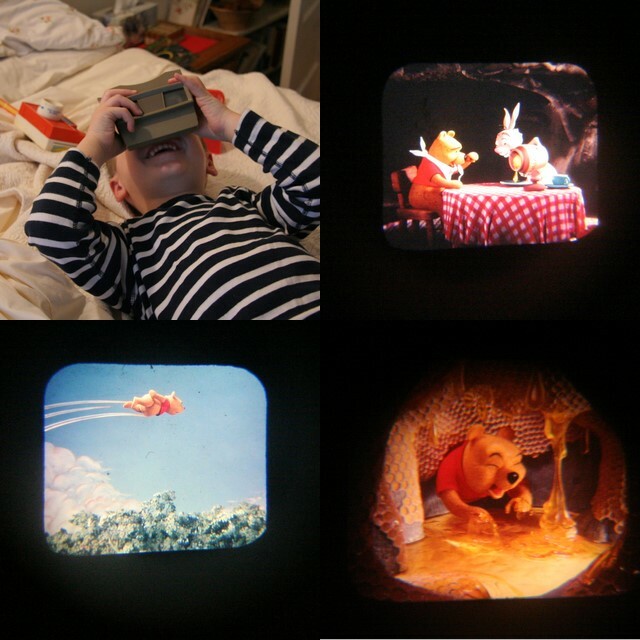 Did you have a Viewmaster? What was your favorite reel/image? I had one of these too.. and my favorite reel had scenes from the Batman tv show. I think I also had a nice one with pictures from National Parks. In fact, I wonder if these are all still in my mother’s attic somewhere. I was looking at the new Viewmasters just a few weeks ago, wondering if they would be good gifts for my nieces. I decided they were rather low tech and retro for kids of today. 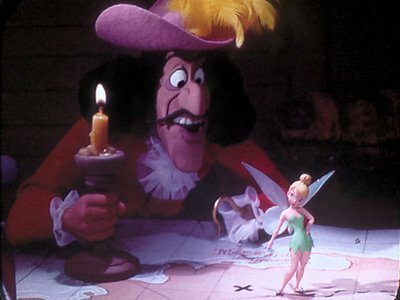 And, more importantly, I wasn’t sure there were many (non-Disney) disks available. Back in the day, I think you could buy disks at many tourist attractions (sold like postcards.) Ah, nostalgia. My oldest brother had one of those that someone gave him. It was much older than the ones pictured above. When my son was little, he loved View Master. He had several of them in different colors and we kept the reals in a huge round tin (like the ones you get at Costco with cookies). When he had a cousin or a friend over, they would sit for hours and look at all the reels. I had one, and so did my kids. It is now in my classroom, and when it comes out on rainy days (not very often, ahem! but maybe this week?) they love it. Loved mine, it kept me busy for hours! 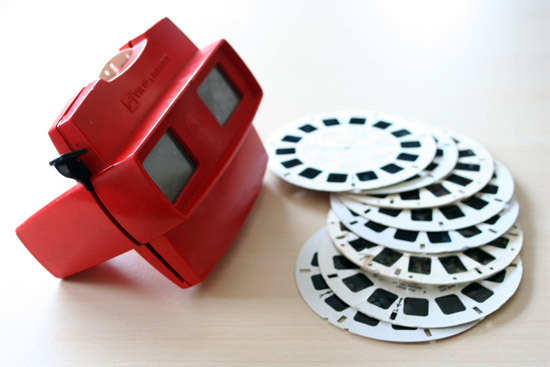 I loved Viewmasters! My suspicion is that they are still being made because sentimental parents like us remember how much they loved them and buy them for their kids. But when I bought them for my kids they paid attention for about 10 minutes, then were done with them. Still, I never gave up—-I think I’ve bought several as an adult, just because of my own positive memories. 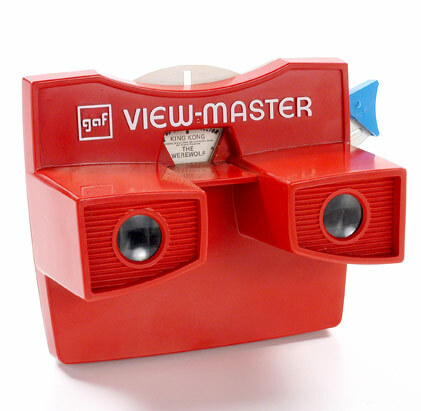 View-Masters are awesome! Seems like everyone has a good memory of them. Did you know that you can make your very own, with your own pictures now?? Check out Image3D– very cool!